One of the questions I get asked most – at least since I took over running TmoNews – is “when does [insert Android device name] get KitKat?”. Thankfully, with iPhone, it’s never really an issue. Once the software update is out, it’s out for everyone. Earlier this afternoon, Apple released version 7.1 of its iOS software. As for what’s new, here’s the full list on Apple’s website. They include CarPlay – a new in-car system that takes over certain manufacturers’ central consoles. It also has a new method of controlling Siri and a host of small user interface changes. Obviously, I’ve been covering the update for TodaysiPhone.com. For those wanting to see the main changes, I published a short overview video below. Let us know how you like the update. Does it improve your iPhone’s performance at all? 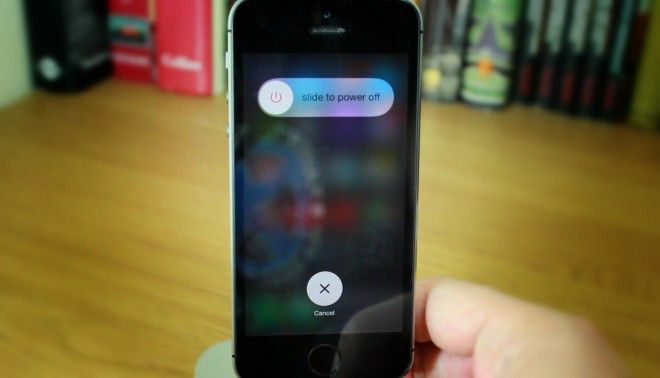 What do you make of the new Siri control method? Some people still have a hard time accepting the rise of David to bigger and better things “guest” sadly is one of those people. I am definitely pro-David but this constant beating up of Cam is getting so, so old. The guy just can’t seem to win no matter what he does. I agree all he did was take up the mantle to keep this site going. Sad the venom people are unleashing upon him. Wow! Five whole hours! Woe be you. Seriously, if this is the worst thing that happened to you today, you probably had a better day than 99.95% of the world’s population. David, please don’t troll your old tmo blog, stay classy mate. David would never do such things. And besides, he’s got a big job at T-Mobile now. He doesn’t have time to troll. That isn’t David he poured his heart and soul into this site to make it what it became. And given the job he did why would he come back under a guest account to disparage Cam. We don’t care if you downloaded it earlier than Cam reported it. Calm yourself and go do something productive. Downloaded and using. Thanks Cam. Unlike the whiner below me, I dont run my life based on when you post things. I been having the same error updating :( 9006 error, guess the serves are overloaded. sure, let me miss features for the 7 tweaks that work for my 5s, and then on top of that I can’t use my phone to demo at work! Thanks! optional. I will sometimes do it that way as Siri in loud situations will usually listen way longer than she should. The old way of releasing when you hear the tone works just as well. I don’t know if it is new or not, but I could never get iCloud Keychain to work before. With 7.1 I was able to finally get it working and saving my passwords. And while David sleeps, KitKat has been released for TMo S4 phones. Battery dying faster than ever. Going back to gs4. Eff this iPhone. Thank God Apple didn’t let carriers get involved in their update process. I can’t imagine the crap T-Mobile would pull if they were able to insert themselves into the approval process. Everything much faster and smoother on my iPhone 5S now. Also haven’t experienced any crashes so far. This is what iOS 7 should’ve been like originally. I dont see this mention here so, if you have an iPhone 4 and stuck on ios7.0.x because you dont have the shshblobs saved for 6.x.x downgrading, update now. 7.1 makes the iPhone 4 sooooooo much faster. Although not as fast as ios6 it does give the iphone4 some more life. If you are jailbroken and want to stay that way, or want to jailbreak your iPhone, stay away from this update. Great video demonstration, Cam. Thanks for posting. I’ve got an old iPhone4 and 7.1 does seem to work a little better, and I love some of those newer features.